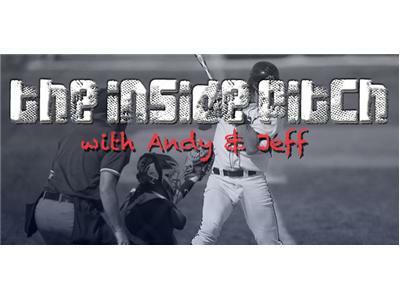 The Inside Pitch is back for 2013. The Inside Pitch is an on-line radio show hosted by Andrew Zajac and Jeff Ellis, who are two contributing members of IndiansBaseballInsider.com. The show debuted in April of 2012 and had a heavy focus on fantasy baseball. This year, they focus on a wide variety of topics ranging from the Cleveland Indians, the Major League Baseball Draft, trade and free agent rumors, the Cleveland Browns and Cavs, and lots more. This year the show is going to expand this season to an hour in length and will air on Thursday nights from 8:00 PM EST to 9:00 PM EST. We are hoping to add more interactivity including guests and would love for fans to call in or use the new IBI chat feature. Tonight, Andrew and Jeff will dissect Danny Salazar's major league debut. What's next for the Indians rotation? They'll also dive into the struggles of the bullpen; what can be done to fix their struggles? How much is Terry Francona to blame for questionable decision making? Andrew and Jeff will also recap the NBA Draft and all the recent trades and free agency moves recently made. All that and more on tonight's edition of The Inside Pitch!